If you were secretly hoping for a surprise at the 172nd OPEC ministers' meeting, consider your hopes dashed, as things went perfectly according to script. Except of course Equatorial Guinea became the 14th member of OPEC out of the blue, and with little prior intimation to half of the world's press. That meant 24 oil producers - including 10 non-OPEC nations led by Russia, and 14 OPEC participants headed by kingpin Saudi Arabia - rolled over their 1.8 million barrels per day (bpd) output cut to March 2018. Libya and Nigeria were exempt, Iran will be given some leeway, and Russia reaffirmed it was sticking to its 300,000 bpd pledge; the largest non-OPEC output cut of its kind on paper. (Here's the full IBTimes UK report). Big question is where from here? If Saudi Oil Minister Khalid Al-Falih is to be believed, this is all about rebalancing the market back to its five-year average. Problem here is that a buffer producer in the shape of the US keeps plugging away with some predicting its output to touch 10 million bpd in 2018. Were that to be the case, is OPEC not in effect subsidising shale players? Thrice yours truly asked Al-Falih whether that was the case, and thrice the question was ignored. The Oilholic is not convinced the extension of this cut would provide short-term support to the oil price that some are hoping for. In fact the initial response of the market has been something of a mini selloff, as many were hoping the cuts would either be deepened or be extended by 12 months. Nether happened, but the market got plenty of food for thought. That's all from Vienna in this instance folks. More when the Oilholic can make a more considered assessment and has gathered his thoughts. Till then, keep reading, keep it crude! © Gaurav Sharma 2017. Exterior of OPEC Secretariat, Vienna, Austria © Gaurav Sharma 2017. Holy mackerel! Was there an almighty crush, or was there an almighty crush getting into Helferstorferstrasse 17 this morning. So many scribes and analysts, or in the case of yours truly, those who wear both hats, trying to get in before the whole jamboree began. Not bad for a place struggling to get this crude world's attention, according to some, to attract so many people. Of course, it’s not a regular occurrence that non-OPEC Russia’s Energy Minister and the Saudi Energy Minister hold a joint press conference after an OPEC ministers’ meeting ends; that's exactly what is on the agenda today. In the morning we’ll have the OPEC ministers’ meeting and then in the afternoon, we will have the OPEC and non-OPEC ministers’ meeting. So here's to more than 150 of us all trying to get that elusive crude exclusive, including, if the Oilholic may add, quite a few Russian journalists here to cover the 2nd OPEC and non-OPEC ministers meeting after the 172nd OPEC meeting ends. And if you were in any doubt whether or not, its a done deal here, Saudi Oil Minister Khalid Al-Falih has said Opec's plan was to "stay steady" and go through the next nine months of oil production cuts. (Here's the full report). "The drawdown of inventories has clearly begun. OPEC and non-OPEC producers will work to bring inventories down to 5-year averages," Al-Falih added, saying he looks forward to working with non-OPEC colleagues. That's all from Vienna, for the moment folks! More shortly! Keep reading, keep it 'crude'! © Gaurav Sharma 2017. 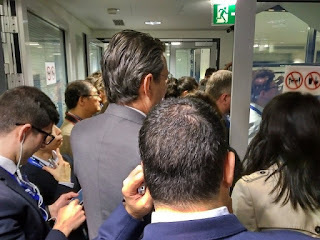 Photo: Media Scrums at OPEC Secretariat, Vienna, Austria © Gaurav Sharma 2017. The Oilholic is back in Vienna, Austria for the 172nd OPEC Ministers meeting, and this blogger's 10th year of covering 'crude' matters. Oh how time flies! However, on this occasion, it looks like a done deal here at Helferstorferstrasse 17, even before things have begun. 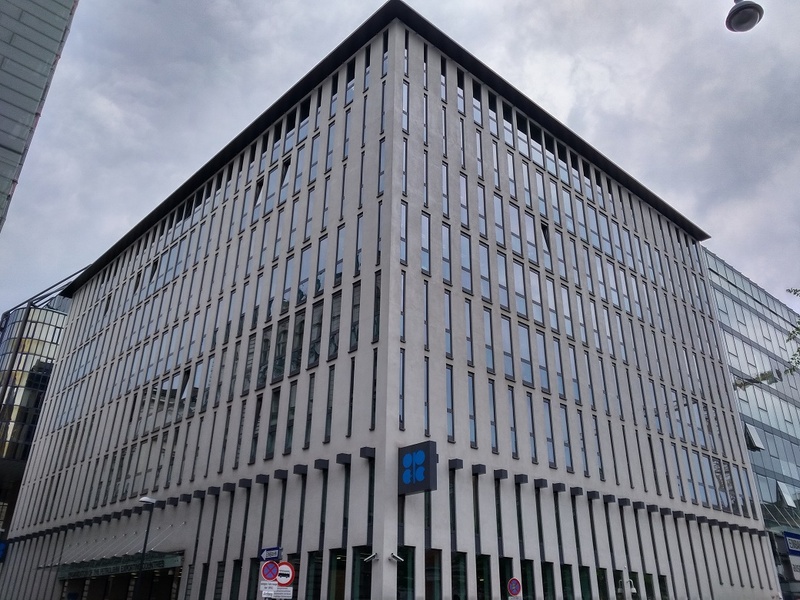 Crude sources suggest Opec's ministerial committee has proposed an extension of output cuts ahead of a formal announcement on the matter. Here's one's IBTimes UK report on the matter. The source also suggested that leading oil market power brokers Saudi Arabia, Iraq and Russia have given the proposal their backing. Meanwhile, non-Opec producer Oman has said it is "not opposed" to the deal, but was seeking "more clarity and discussion" on the matter, according to newswire Reuters. Elsewhere, the Kuwaitis are wondering if a 12-month extension to cuts was worth contemplating, something the Saudis and Russians would probably not agree to. 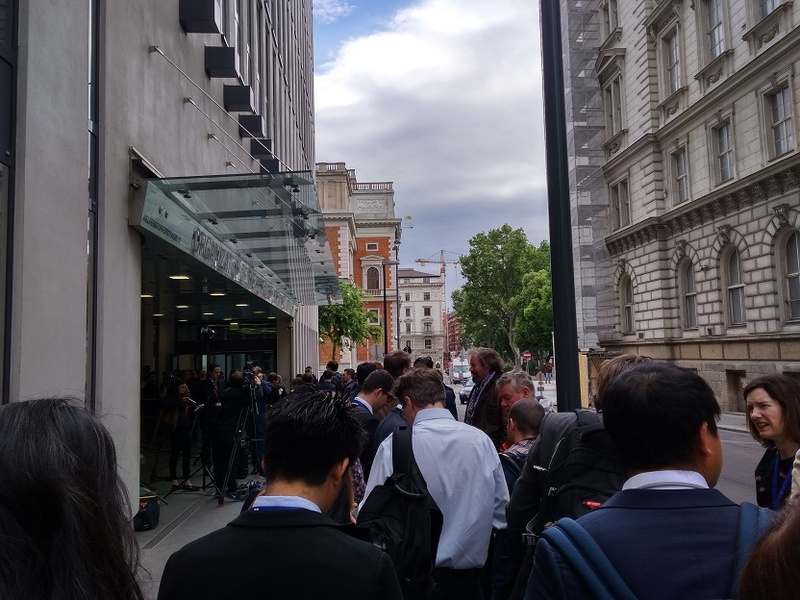 Opec's formal announcement is expected at 4pm BST on Thursday. That's all for the moment from Vienna folks. Keep reading, keep it crude! © Gaurav Sharma 2017. 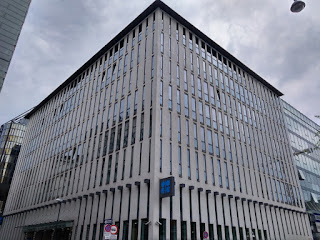 Photo: OPEC secretariat, Vienna, Austria © Gaurav Sharma 2017. By all accounts, it appears to be a done deal - that's OPEC etending its oil production cut of 1.3 million barrels per day (bpd) in conjunction with 11 non-OPEC producers including Russia, who'll add around another 500,000 bpd, taking the headline cut nearer to 1.8 million bpd. The said cuts were set to expire in June, but could likely be extended to March 2018 if some soundbites coming out of OPEC are to be believed. The long bets are certainly rising, with both Brent and WTI futures ending last week up by over 5.5% on a week-over-week basis, comfortably above $50 per barrel level. The accompanying chart (see left, click to enlarge) tells its own story, ahead of OPEC's 172nd Ministers' Meeting in Vienna on 25 May which the Oilholic is heading to. That's all for the moment folks as another fascinating week awaits in Austria. Keep reading, keep it 'crude'! © Gaurav Sharma 2017. 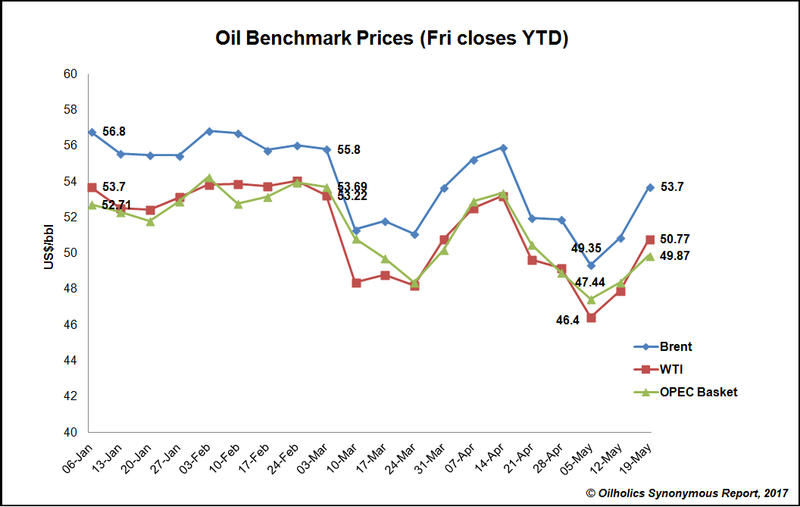 Graph: Oil benchmark Friday closing prices from Jan 6, 2017 till date © Gaurav Sharma May, 2017. Its official OPEC ministers' and Russia's quips in favour of extending oil production cuts beyond June appear to have worked. 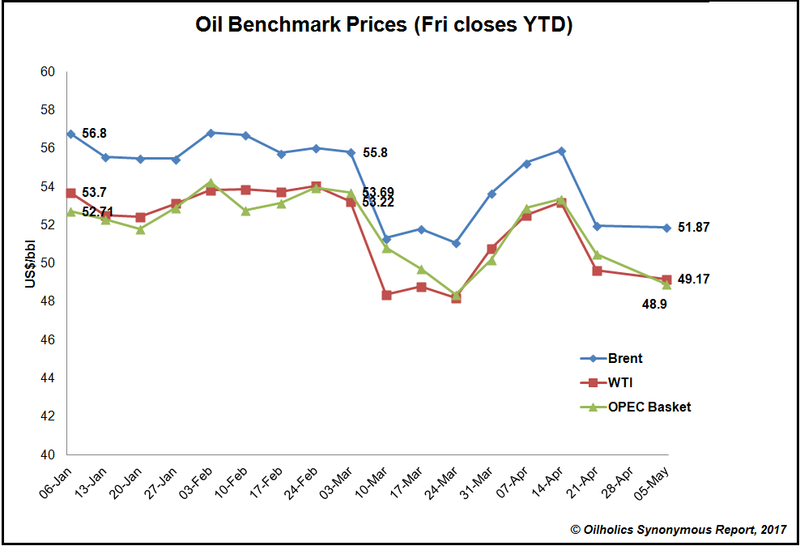 Oil benchmark prices perked up by a princely $1.50 or just over 3% in week-over-week terms. Brent, the global proxy benchmark is well clear of $50 per barrel. If anything else, it's good news for the US oil patch, with independents plugging away, as another weekly uptick in the Baker Hughes rig count suggests. Away from it all, US President Donald Trump is perplexing the oil and gas industry in Texas. For a man who claims to be a champion of the 'crude' world, Trump's jibes against NAFTA are causing dismay in the oil and gas capital of the world, where people understand more than most, the cross border nature of the industry. Here's the Oilholic's reading of the situation in a detailed analysis and commentary piece for IBTimes UK. In a nutshell, if NAFTA is ripped up and Trump provides little or no clarity on US taxation - the oil and gas business would be hurt disproportionately. Most think its unlikely Trump will stir too much on the the NAFTA front. However, Trump being Trump you never know. That's all from Houston folks! Keep reading, keep it 'crude'! 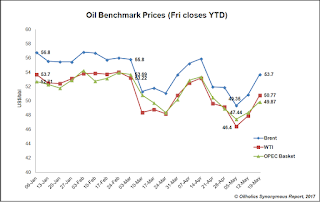 Greetings dear readers, the Oilholic is back in Houston, the oil and gas capital of the world, with OPEC soundbites from far afield having ensured Brent is back above $50 and on track to end the week higher than where it began. Meanwhile here, upstream innovations helping the US oil patch in this era of ‘lower for longer’ oil prices are the talk of the town, but among the digitisation platforms the crude world has started taking to with increased ferocity – the subject of blockchains – keeps propping up. Don’t worry, yours truly was bit foxed too at the start, wondering what on earth is a blockchain, let alone its platform deployment in an industry thatm let’s face it, lags others in digitisation. So in simple terms, a blockchain is akin to a digitally distributed ledger that can be replicated and spread across many nodes in a peer-to-peer network, thereby minimising the need for oversight and governance of a single ledger. Each transaction on the ledger is recorded and added to the previous one. These additions result in a growing 'chain' of information. At the 2017 Baker & McKenzie Oil & Gas Institute, it was a much discussed subject, albeit included in the wider discussion on digitisation in the sector. Here’s the Oilholic’s full report on the deliberations for IBTimes UK, which is well worth reading. While nothing is foolproof, there is growing consensus within the industry that blockchain ledgers can help fight fraud and corruption. As if that wasn’t enough for you on the subject of ‘crude’ digitisation, Shell’s top lawyer David Brinley also told institute delegates the oil major’s technology hub in Bangalore, India has never been more integral to its business than it is now. "From automation to 3D printing of project prototypes, to an app on how to locate your car in a car park – Shell would like to be at the forefront of inexorable technological changes we are seeing in the 21st century." 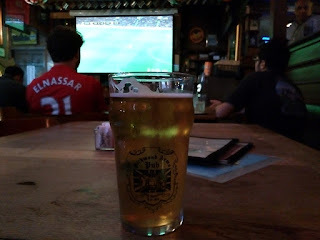 Away from crude chatter, the Oilholic leaves you with a glimpse of a refreshing pint at The Richmond Arms pub, which tasted even better after yours truly cheered on Manchester United to the UEFA Europa League final. If you happen to be in Houston, and need to watch English Premier League clubs in play, or European football (er...called socccer here) there’s no better place to watch in The Galleria area for starters, and in the whole city in some ways too. That’s all for the moment from Houston folks! Keep reading, keep it ‘crude’! © Gaurav Sharma 2017. 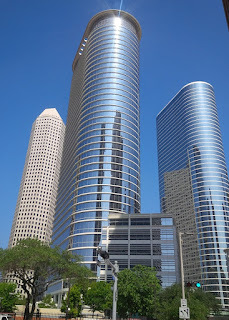 Photo 1: Chevron Towers, Downtown Houston. Photo 2: Pint at the Richmond Arms Pub, Houston. Texas, USA. © Gaurav Sharma 2017. The fact that it isn’t, and couldn’t be any further from that promised level despite OPEC cuts tells you that verbal quips from oil producers matter little when the market is trying to readjust to a new normal; i.e. the impact of a buffer producer in the shape of the US of A. When OPEC and 11 non-OPEC producers came together last December to announce a headline production cut of 1.8 million barrels per day (bpd), it was done in the knowledge that inevitably US shale producers would benefit from higher prices too. However, the economic paradox of that was additional US barrels replacing barrels taken out by the OPEC and non-OPEC agreement. 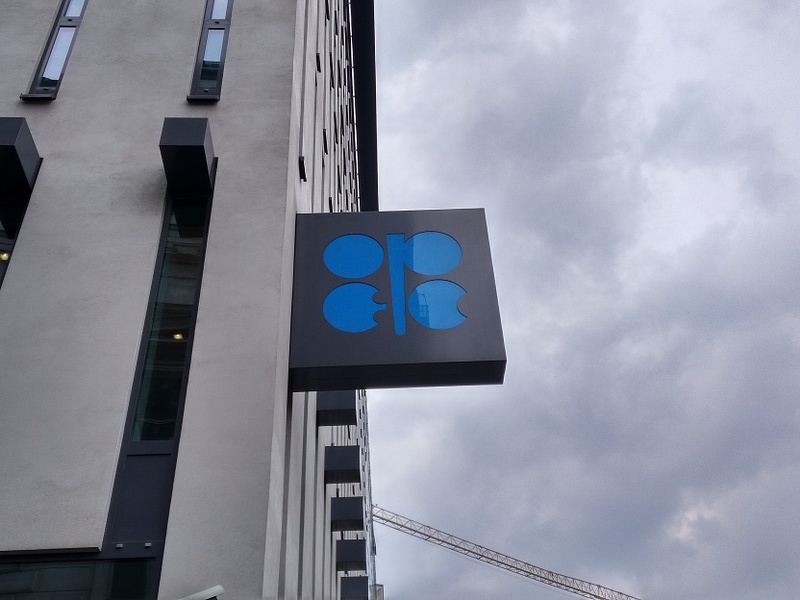 In March, Saudi Energy Minister Khalid Al-Falih ensured that the OPEC put unravelled by quipping that his country would not subsidise non-OPEC margin plays by supporting an extension of the OPEC and non-OPEC agreement, due to expire in June. The result was a near instantaneous drop in both benchmarks as the market factored in the possibility of more OPEC barrels. Soon thereafter, on witnessing the ensuing oil price slide, ministers of several OPEC member nations, including Al-Falih himself, issued soundbites claiming an extension to the cut was in fact possible. However, in the Oilholic’s humble opinion, the damage had already been done by that time. This blogger's interaction with the wider market – whether we are talking spot or futures traders – leads one to believe that sentiment is in favour of higher US production, with each OPEC and non-OPEC barrel taken out of the market subsidising an American barrel. Of course, it’s not as linear or simple but the market’s reasoning isn’t flawed. All OPEC soundbites in favour of extending the cartel’s cut further are fuelling such sentiment further. Should OPEC extend its cut, the artificial support to the oil price would again be short-lived, as US barrels will continue to flood into the market. 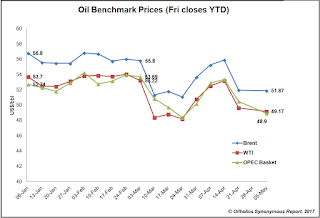 Finally, the Oilholic believes the market is showing signs of rebalancing unless it is artificially tampered with, and there could be some semblance of normalcy by September-end. So as such neither is an OPEC cut needed nor are the soundbites in its favour. Perhaps the cartel might consider keeping mum for a change! That's all for the moment folks! Keep reading, keep it 'crude'!